That image by the Indian graphic artist Dharmesh Prajapati is titled Nusrat Dropping Ecstasy 2. It is one of the visuals referenced in a new biography of the great qawwali singer Nusrat Fateh Ali Khan by ethnomusicologist Pierre-Alain Baud. Far more than a chronological biography, Nusrat: The Voice of Faith is a valuable exploration of how art can interact with culture. 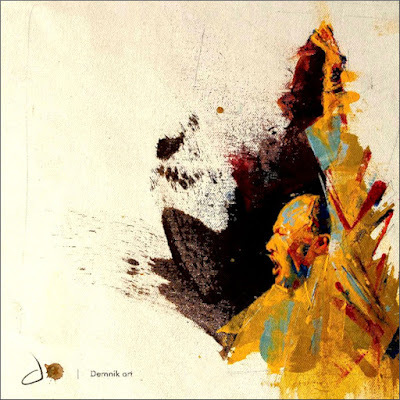 Above all, as the title tells us Nusrat Fateh Ali Khan (NFAK) was the ecstatic voice of faith, with a programme note for a 1993 concert in Paris describing his art as "religious fervour taken to the highest level of musical madness". He was an adept of the Chisti Sufi order, and his music blazed with Sufism's ecstastic love for the Divine. But there was no fundamentalism in his faith: his beloved Qawwali has its sources in a synthesis of Islam and Hinduism, and his musical madness crossed all geographic boundaries. Pierre-Alain Baud describes how, despite supporting the Muslim League during the Partition of India, NFAK remained popular in India and scored Bollywood films. Providing film scores, including music for movies directed by Martin Scorsese and Oliver Stone (Natural Born Killers was a film he later regretted being associated with) was just one way in which NFAK challenged conventions. Another was his work with an eclectic group of musicians led by Peter Gabriel; this collaboration resulted in a remix of his qawwali fusion track Mustt Musst with the British trip-hop band Massive Attack becoming a dance floor hit that went on to feature in a Coca-Cola advertisement. Another track from the same fusion album reached a wide audience via the film Bend It Like Beckham. Nusrat Fateh Ali Khan's liberal, some would say cavalier, attitude towards licensing his music and piracy is a stark contrast to the current attitude of today's intellectual property owners. There is no doubt that the unrestrained diffusion of his music was one of the factors that contributed to his huge popularity. As the film director Jérôme de Missolz explains in the book: "It is actually quite beautiful in a way, this idea that at a given moment, music travels through "piracy" and the idea of a musician working only for the record industry is completely distorted. The music lives and is propagated outside of their control". Pierre-Alain Baud also delves into darker corners, explaining rather diplomatically that: "The people who had surrounded Nusrat, particularly those closest to him, had, in fact, without being fully aware of what they were doing, hastened the process of physical degeneration that led to his premature end". 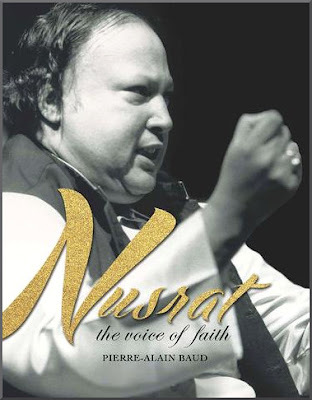 Nusrat: the Voice of Faith is a valuable portrait of a great musician and spiritual powerhouse who entered the Guinness Book of Records for releasing more albums than any other artist, whose videos have been watched millions of times on YouTube, and whose records outsold Elvis Presley's. But the value of this biography goes much further than mere documentation: because it raises the question of, if Western classical music really wants to reach a wider audience, should it be less concerned about dumbing down? Debate about the appearance of Gustavo Dudamel and the Youth Orchestra of Los Angeles at the Super Bowl is relevant - perhaps we should pay more heed to Nusrat Fateh Ali Khan's credo that: "Art is, in fact, something very important, but for me it is simply a means of conveying the message I have inherited from my great ancestors"? But above all, this new biography is a powerful reminder that music - particularly great music - can live and and be propagated without surrendering control to a self-serving media industry. No review samples used in this post. Header image via Do I Demnik Art. Any copyrighted material is included as "fair use" for critical analysis only, and will be removed at the request of copyright owner(s). Also on Facebook and Twitter.